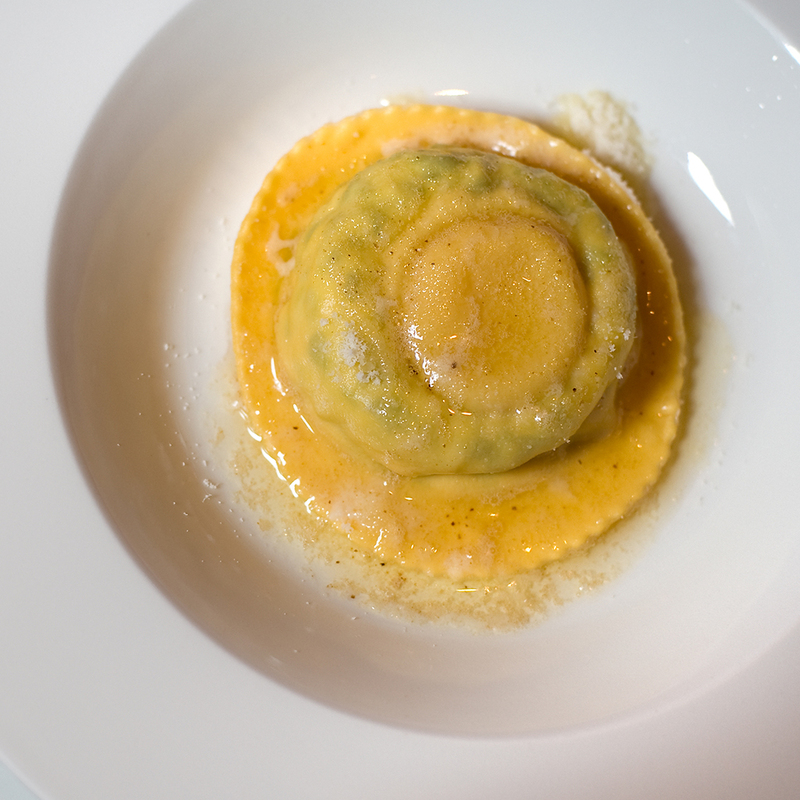 What: The Uovo Raviolo hides a bright orange egg yolk inside a bed of ricotta. When you slice into the al dente ravioli, the yolk oozes out slowly. It’s like a poached egg on steroids. The dish has royal roots: It was originally created for the last king of Italy to enhance the flavor of local white truffles. At SD26, that tradition is alive and well as their ravioli gets topped with a generous amount of truffle butter. Wash it down with: SD26's Remedy cocktail — Gin, ginger liqueur to help ease your upset stomach, celery juice to help rehydrate, all topped with Pimm's blackberry and elderflower.